Hello, backers. This week we are profiling another talented Concept Artist on Eternity, Kaz Aruga. 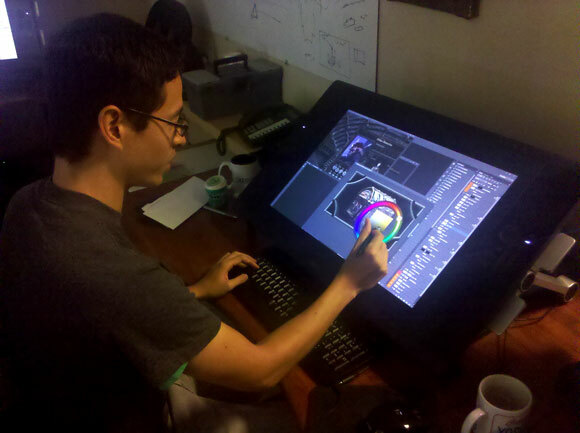 While Kaz wears many artist hats his largest contributions are area and UI concepts. Enjoy. Q: Hello, Kaz. 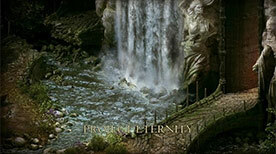 What is your job on the Project Eternity team? Before I start I want to quickly thank all you awesome peeps who backed our game. I wouldn't be here working on my dream project if it weren't for you all, so thank you for making this a reality! I have two responsibilities on Project Eternity. 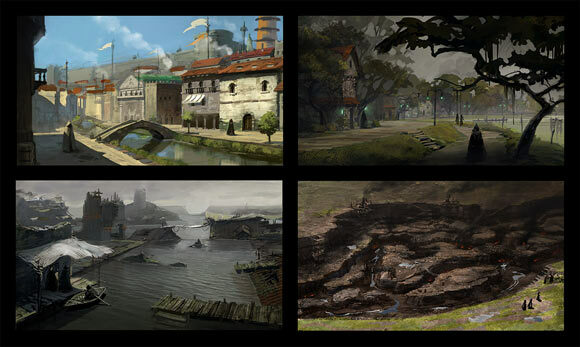 The first is supplying the asset and environment teams with concept art. 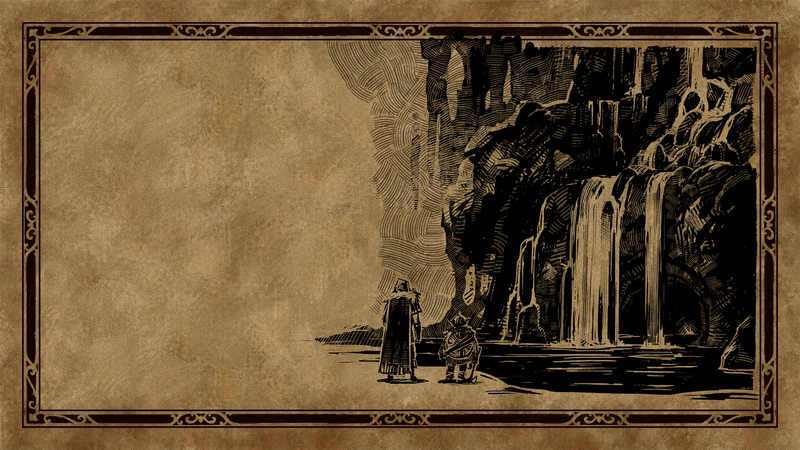 The second is producing art for the game's UI. I'm occasionally tasked with scripted interaction art and will start producing character portraits further down the road. But seriously, I appreciated the feedback you all gave us for the action bar and conversation UI. I've taken notes and been implementing ideas that are in alignment with our design goals. As a side note, being a fan of the IE games and having a lot of experience playing them has proven very useful as it helps me identify what worked and what didn’t. I'm sure we all have fond memories of shuffling piles of arrows between characters. 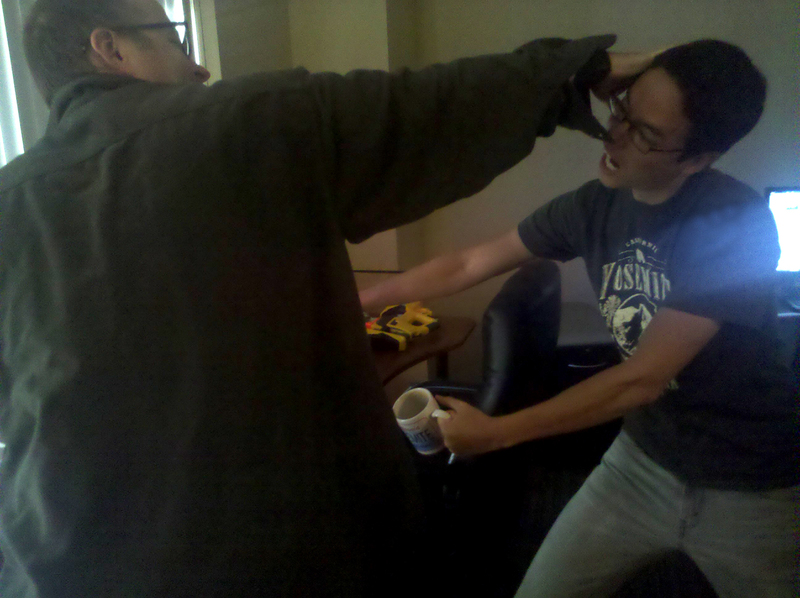 My day usually starts by fighting off Robs and Polinas to get to the Keurig coffee machine in our room. Consuming the glorious bean drink allows me access to all two neurons in my head, which I then rub together as hard as I can to start making artwork. My day varies a lot from this point based on the task I'm on. For character and environment work a good chunk of time will be devoted to gathering reference and inspiration, or doing homework on a specific subject. I'll then do a rough sketch pass which gets reviewed by the leads and other artists. When I'm on scripted interaction art I work closely with our designers Bobby and Jorge, and for UI I interface with our project lead Josh and Brian who is our programming intern. Just the fact that we can put an IE inspired game on the market is enough to get me excited. It's been long overdue. I'm looking forward to seeing all the hard work we are putting in coming together as one complete package, and seeing reactions of people playing the game! Q: Which concept that you have done has been your favorite? Artists are typically never happy with their own work. Next question! I've enjoyed working on art for scripted interactions, and been pretty happy with the results. I've also been putting a lot of work into inventory UI recently and am happy with the results coming out of that. Before this job I was up in San Francisco working as a texture artist on a television series called Star Wars: The Clone Wars. I've also done some matte painting work in the film industry. My off time often includes episodes of Breaking Bad, Game of Thrones, a cold beer, and dual wielding our two resident cats Puddy Tat and Lil'Babs. They are the best. I also have an unhealthy and destructive relationship with Ramen. (No, not the vile instant noodles. How dare you call that Ramen!) Thankfully LA has an abundance of good shops to satisfying my craving. Q: Do you have a favorite concept artist? Here's a few that popped into my head. I'll link to their site and save you all a google search. On the painting and illustration side..
Q: And where do you draw your inspiration from? Nature is a big one of course. I also think back on how blessed we are with powerful tools like Google image search. We don’t neglect traditional resources, but I honestly can't imagine working at our current pace without it. Q: What's your favorite Infinity Engine game? Why? BG1 for exploring the vast wilderness. I can still recall the music and hear the birds chirping in the distance. BG2 is a close 2nd for its story and companions. The only title I haven't finished is IWD2 which I am playing through currently, and I will say I'm enjoying the combat. Q: Existential question of the day: Who are we and why are we? We're just here, man. There's no why, everything just IS. You feel me? That's it for this week. Hope you guys enjoyed getting closer look into what Kaz does for us. See you guys in a couple weeks.